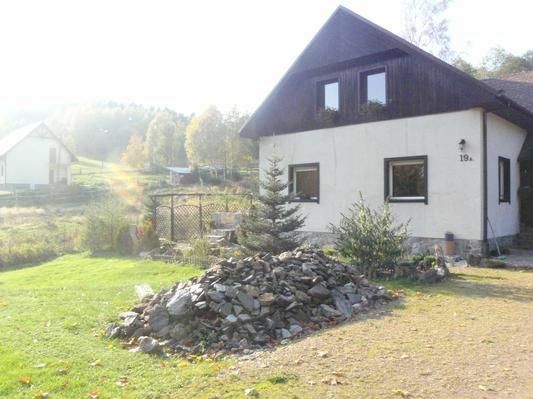 Cottage for whole year 146 m2 in a nature reserve in 2000 Taszów in a quiet location, 300 m from the tscheichischen limit for Famielien with children and for active holidaymakers. Around house forests and tranquility. The nearest town 6 km (shops). Plot 2200 m2. An enclosure. Terrace with garden furniture. In the garden barbecue and roofed place for bonfire. Parking for 3 cars. Object has own water source. Final cleaning 60zł - payable locally. Little village, quiet, suitable for holidays with families and active holidaymakers.